Did you miss Debbie Goodstein on today's show? Listen here! 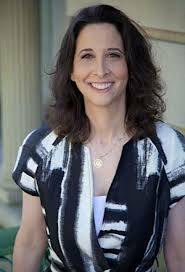 Debbie Goodstein was the writer and director of Voices from the Attic (1988), which was shortlisted for an Academy Award. Voices from the Attic had a limited theatrical release, was broadcast for three years on Israeli television on Yom Hashoah (Holocaust Remembrance Day) and in the U.S. on the Discovery network. It was widely distributed to schools and religious institutions and—and over 20 years later—it is still being sold at places like the United States Holocaust Memorial Museum and Yad Vashem in Jerusalem. Goodstein wrote and directed the semi-autobiographical narrative feature Mighty Fine, starring Andie MacDowell and Chazz Palminteri, which was released theatrically in May of 2012 by Lionsgate. In 2013, Mighty Fine had a special Academy screening and was invited to screen at Simon Wiesenthal Center at The Museum of Tolerance in LA, and, most recently, won “Best in Show” at the Female Eye Film Festival in Toronto (named one of the top 25 festivals in North America by Movieline Magazine). Goodstein has sold several screenplays to major studios and has numerous other credits in film and television, including: writer for “Saying Kaddish,” which was nominated for a Daytime Emmy; writer/producer for “Growing Up in America” (Fox TV Films); and writer/ producer/ director for “The Bubbies,” a reality show on NBC. She and her cousin Leslie Wolfowitz also wrote and produced the play "Kindergarten Confidential" which was showcased Off Broadway in 2006. “Echoes from the Attic” tells the small but epic story spanning 70 years of the shifting, sometimes tense, sometimes distant relationship between two families surviving the Nazi occupation, one Jewish and the other, their Polish rescuers. It is the story of the triumph of an enduring bond forged in war, tempered by compassion and made resilient by love. “Echoes from the Attic" will premiere in Berlin at the end of the month, screening in tandem with its prequel, the academy award shortlisted "Voices from the Attic", in the Asynchronous program dedicated to the remembrance of the victims of the Holocaust. Invited by Arsenal Cinema, the organizers of the Berlinale Forum of the Berlin Film Festival, “Voices” and “Echoes” are two of eleven films invited to be screened in a three-city tour beginning in Berlin and going on to Leipzig and Frankfurt. Our Echoes team has been hard at work all summer getting the film ready for its Berlin debut. Post-production costs along with a final shoot in Poland organized in an effort to dig deeper into guarded family histories, have brought us here to Kickstarter in hopes of covering these costs. After our German tour, we hope to rerelease “Voices” along with “Echoes” theatrically, here at home. “Echoes” will also be distributed as a stand alone at festivals, museums, schools, and eventually to global accessibility online. “Echoes from the Attic” is Debbie Goodstein’s follow up to her 1989 documentary “Voices From the Attic” which charted her journey to Poland and the attic where her mother and 15 family members were hidden for two years during the Holocaust. “Voices” features Debbie’s Aunt Sally as she deals head on with the scars she’s carried and the long shadows cast by those harrowing attic years. “Echoes” picks up 23 years later when Aunt Sally announces that, after years of lobbying Israel’s Holocaust Center, Yad Vashem, the late Stanislaw Grocholski, the Polish farmer who gave them shelter, will be awarded the “Righteous Among the Nations” honor. Thrilled with this victory, attic survivors and descendants, 27 in all, travel back to Poland to attend the ceremony honoring their hero. But something goes terribly wrong during the ceremony, opening a painful rift between them and the Grocholski family that they are determined to mend. A private meeting with Stanislaw’s eldest daughter, Zosia, reveals the unknown and life-shattering risks her parents took to do the right thing. With Zosia’s revelations, “Echoes” becomes the natural companion piece to “Voices,” shining a bright light on often-overlooked sacrifices, pain and strength of ordinary people of extraordinary heart.